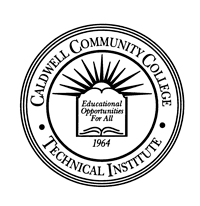 Caldwell Community College and Technical Institute’s Small Business Center (SBC) exists to support the development and growth of small businesses. If you are considering or dreaming of being your own manager, start by registering for a free workshop or consultation specific to your business. Just look around our community and you will see strong evidence that the free enterprise system is alive and well in Caldwell County and Watauga County. Turning the dream of small business ownership into reality is no easy task. Right here in your local community, CCC&TI Small Business Center is your one-stop assistance partner during each phase of business development. Individual business coaching in a confidential setting lends the measure of support you need through intensive planning. The commitment you demonstrate at the onset of your business will transfer to the sustainability of your business. Creative problem solving coupled with your strong determination to succeed are significant markers of success. The Small Business Center provides the savvy to navigate countless regulatory agencies and resource options. Our experienced counselors and trainers can help take the confusion out of what can seem like an endless list of rules, regulations, and red tape. We can show you what it takes to start your business, serve as a sounding board for your ideas, and assist you as your business grows. The SBC offers a multi-faceted approach to facilitating business development by providing prospective and current small business owners with a central point of contact for information, education, and assistance. The Small Business Center hosts a comprehensive schedule of seminars and workshops presented by business leaders designed to make your business more successful. Take advantage of these free, high impact seminars at convenient times designed to fit your busy schedule. A sampling of the sessions regularly offered include Starting Your Own Business, Writing a Business Plan, Financing a Small Business, Advertising and Marketing Your Business, and Bookkeeping. Customized programs can be designed for business and industry upon request. Workshops and seminars are a great place to exchange product and service information with other local business owners in highly-interactive discussions. Networking is key to successful business enterprise. The SBC provides free, confidential counseling on a range of diverse business topics. We discuss licensing issues, business plans, business feasibility, marketing and advertising, loans and sources of financing in addition to doing business with the government. A resource center with periodicals, DVDs, and books is available for use by SBC clients and students. Business planning software and access to a personal computer with Internet connection is available for clients who wish to conduct research or develop a business plan. The SBC also provides referrals to State agencies and other business assistance sources. The Small Business Center is a clearinghouse for demographic and statistical information for existing and prospective businesses. The SBC provides one-stop shopping for information such as website locations and telephone numbers for governmental agencies and any agency that can assist small business owners. Start Your Entrepreneur Engine! Phone for an appointment. Make plans now to connect with customers and other local business owners.